This is a basic question yet how I wish I knew the answer two or three years ago. I would not be too overwhelmed of the amount of responsibility and preparation I need to invest to become a freelance writer. 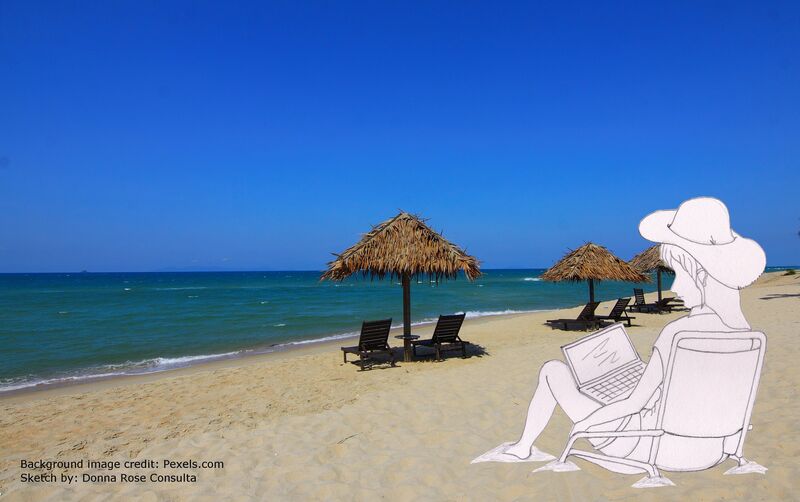 Freelance writing lets you work from home or anywhere as long as you have a laptop and reliable internet connection. You can have job flexibility in a sense that you can work in variety of projects offered by publications, small agencies, and even Fortune 100 companies. Lots of work means you are more than just a writer. You must take the following roles or jobs to land freelance writing gigs. You are required to talk with your clients or hunt for prospects. Expertly juggle different clients and deadlines on your hand. Write an “air tight” contract to avoid being taken advantage of. Negotiate your freelance rates. You must be a sweet-talker, charmer, and diplomatic negotiator all-in-one. Ugh. That’s why I chose to be a writer, I hate crunching numbers! I feel you, dude. Sad to say, you have to—no, let me rectify that—you are required to do it. Who will oversee late paying clients? Who will handle the bills, the taxes, the invoices?! It is no other than you. Whose website? Whose blog? Yours, of course. It is your virtual space on the internet that you wholly-owned where you can showcase your writing abilities. Your website or blog must be user-friendly and pleasing to the “scanner’s” eyes. You should know some basic website design tips to get you started creating your own blog site. This is another technical aspect of being a freelance writer who wants to create a blog. It is true that you must write high-quality, informative and engaging articles. At the same time, you must optimize your blog to be able to rank it at the first page of search engines. The higher the rank, the more searchable it is. Sometimes the images at free stock photo sites are limited or do not suit your taste. You have no choice but to unleash your artistic side. Adding a “little dazzle” on your content grabs the attention of your readers and gets them hooked. It also gets 94% more total views. Who will promote your writing services? One of the ways of getting a gig is reaching out directly to potential clients. If you are well-established, clients will find you. However, when you are just starting, you must endure “frostbite moments.” Cold calling, cold emailing… Brr, so cold. The rise of social media created this job. You must foster good relationships with your online community and readers on different social networking sites. We all know that social media is one of the ways to promote content and yourself as a writer. You will also take a job as a social media manager. According to Sprout Social, a social media manager creates content; crafts copy for posts; responds to comments; answers questions and much more. Based on the list above, being a freelance writer is not all about writing or just writing. In this type of career, you can’t avoid wearing many “hats.” You are a one-man (or -woman) team; a jack-of-all-trades. Is it required to acquire these skills all at once? The earlier you realize and accept it the better. In this way, you could establish your freelance writing career and steer your sails in the right direction.